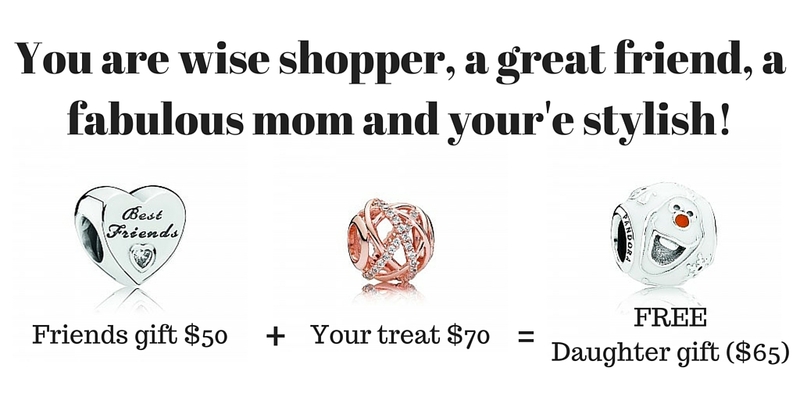 For the next three days when you spend $100 on Pandora you recieve a charm of your choice up to a $65 value!!! How amazing is that?.. So that means you could treat yourself to a rose gold Galaxy Charm, buy your best friend the Friendship Heart Charm for Christmas and then get the new Olaf Charm for your daughter for Christmas for FREE. Three gifts for the price of two, and a very lovely treat just for you!! The possibilities are endless, and we are happy to help you figure out how to be the wisest shopper out there! So come in today through Saturday to take advantage of this offer.